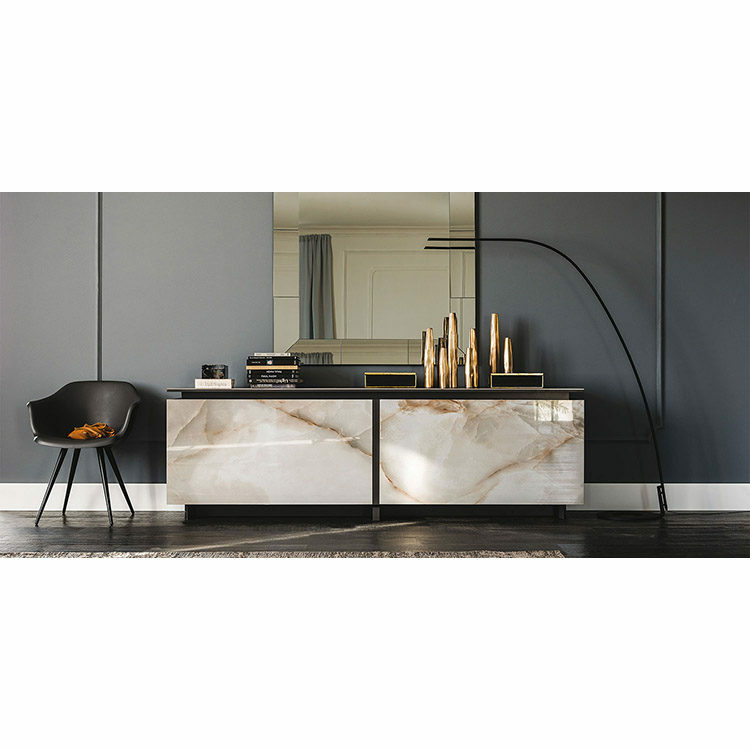 Sideboard with sliding doors and insert into the top in ceramic Marmi Calacatta, Alabastro, Ardesia, matt Golden Calacatta, glossy Golden Calacatta or ceramic Zinc Brown. Matt graphite painted frame. Internal shelves in clear glass.